This is a new feature specifically for private collectors and electronics hobbyists who would like to learn how to restore vintage gear. The goal of this page is to help newcomers to get good information, decide whether or not do-it-yourself restoration is practical, and learn to properly restore their own equipment should they decide to do so. I have a few competitors and I encourage others to enter the field of professional restoration. There's plenty of work to go around. The existence of an organized vintage electronics industry will encourage more companies to enter it as suppliers of parts and materials. I've noticed that there are too few (only two, to my knowledge) rebuilders of picture tubes, neither of whom can supply the rare and sought-after 15GP22 tube which was used in the earliest direct-view color televisions like RCA's CT-100, Westinghouse's H840CK15, Philco's TV-123 and Admiral's C-1617A nor can they supply the CBS/Hytron 15HP22 (a 15GP22 look-alike with similar characteristics) used in the Zenith model 44M20 color receiver. Perhaps someone will eventually acquire the equipment and engineering data to develop a means of replicating the original Rauland glass envelope and make a supply of new 15GP22's available for the continuing historic preservation of the 100 or so surviving 15-inch color receivers through the 21st century. I realize that the tubes would not be cheap to produce, however, the project may prove to be a worthwhile investment. Perhaps one of today's hobbyists will go on to be tomorrow's supplier of these and other very rare parts. 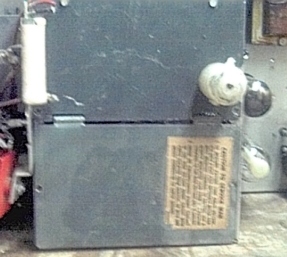 In order to begin learning to restore vintage gear, a person must possess strong math and science background including knowledge of algebra, trigonometry, physics and chemistry, basic AC and DC electrical laws and circuits (Ohm's Law, Kirchoff's Laws, Reactance, Impedance, etc) and knowledge of basic electronics, familiarity with basic tools and test equipment, good mechanical skills and a thorough knowledge of all safety concerns. I highly recommend reading any pre-1976 issue of "The Radio Amateur's Handbook", Kiver's "Television Simplified", and a radio servicing book prior to attempting any restoration. The FAQ page for the sci.electronics.repair USENET newsgroup is also highly-recommended reading. Starting with a very simple project and gradually advancing toward more complex systems is the best approach. 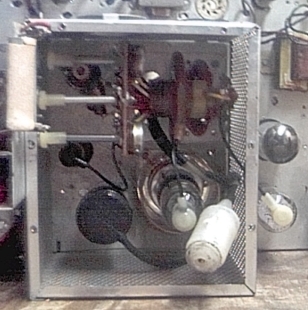 One cannot expect to do a quality restoration of a television set without first restoring several radio receivers. Knowledge of basic troubleshooting is also essential. Remember Murphy's Law "Anything that can go wrong will." Knowing how to get out of a jam can mean the difference between a permanent display piece (or worse) and a successful restoration. The largest restoration bills I've written as a professional restorer have been the direct result of someone attempting a project that was far beyond their level of preparation. Some sets were so heavily damaged as to render professional restoration prohibitively expensive. The first rule should be "When in doubt, don't do it." Study, practice, then restore. You should also be prepared to invest in some quality tools and test equipment. Absolute minimum required test equipment includes the following items: Volt-Ohm-Milliammeter (Simpson #260 or equivalent) for accurate voltage and resistance measurements; Isolation Transformer (1:1 isolation transformer of sufficient VA (volt-ampere) rating (500VA minimum for television, 150VA minimum for radio) to minimize shock hazard; Tube Tester (Heathkit or equivalent) for testing vacuum tubes. A library of original manufacturer's service manuals and/or quality third-party service documentation like John F. Rider's Perpetual Troubleshooter or Howard W. Sams' Photofact technical publications is an especially helpful tool. Professionals will need to own a comprehensive library, hobbyists can order documentation for individual items directly from the Photofact web site or look for used manuals from other sources such as eBay. Advanced test instruments such as oscilloscopes are not necessary for the typical vintage radio restoration, however, advanced equipment is very helpful in troubleshooting of black-and-white television sets and essential for troubleshooting and alignment of color television sets. This is an example of a restoration gone horribly wrong. This was sent to me by a customer who had attempted to retrofit a "surplus" flyback into a vintage color tv. This is a fine example of the rule, "When in doubt, don't!" 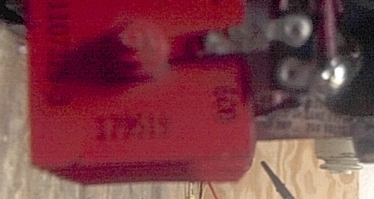 In the interest of professionalism, I won't reveal the customer's name, location or even the model number of the set. I've still got some messes to clean up inside this one before I can safely power it up. 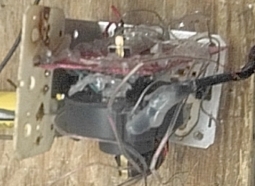 Here's the manufacturer-approved replacement transformer that I installed in my customer's set. Not only does it look much better, this one will be a nonsmoker. This is the same chassis with the HV cage cover reinstalled. I still have some work to do under the chassis, but it looks good so far. As for the bill, you don't want to know. I was just 7 years old when I began studying electricity and electronics. I started with books and began practicing on real equipment sometime later. I was 12 years old when I restored my first vintage radio. Twenty-five years and over a hundred restorations later, I opened my professional restoration facility. No guitarist expects to play like a professional the first time he or she picks up the instrument, but study, practice and dedication can turn beginners into seasoned professionals. The same applies to vintage electronics. Television receivers typically employ supply voltages of greater than 350 volts DC and are especially hazardous because their power supplies are capable of delivering 350 volts or more at currents of greater than 200 milliamperes. Electric shocks of 1 milliampere are barely noticeable. A shock of 5 milliamperes will cause discomfort. A 10 milliampere shock can cause injury. A 35 milliampere shock can cause serious and potentially life-threatening injury. A shock of 75 milliamperes or more is definitely life-threatening. Capacitors can store significant amounts of energy long after the set has been unplugged. Before working inside a vintage television, learn to do so with safety as your top concern. Tubes and their associated components dissipate large amounts of power and generate significant amounts of heat. When components are operated under conditions that exceed their ratings, they can and do overheat. Combustible materials in close proximity can be ignited, leading to risks of property damage, potentially serious personal injury or death. Caution is absolutely essential. Television picture tubes are large and fragile glass structures containing a high vacuum. As such, the surfaces of the tube are under constant pressure from the atmosphere of 14.7 pounds per square inch. The atmosphere exerts a force on the faceplate of a 21-inch picture tube of about two tons. Breakage of the tube will result in the glass collapsing violently inward and traveling at high velocity in all directions. Potentially lethal cuts can result. 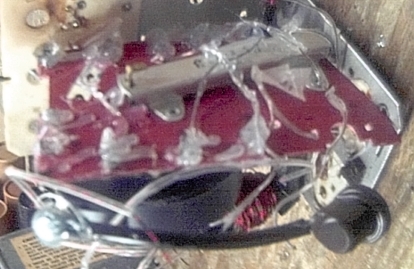 Learn to handle picture tubes properly before working on your vintage television set. This section is intended for advanced hobbyists with some troubleshooting and repair experience and teaches proven methods of restoring vintage equipment to allow safe and reliable operation and preserve the appearance of the unit as close as possible to that of the original construction. Here is another view of the same installation. 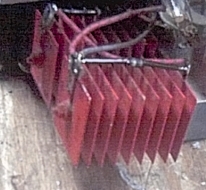 Note the use of insulating tubing to cover the exposed leads of the new rectifier and prevent them from shorting to the case of the old rectifier.